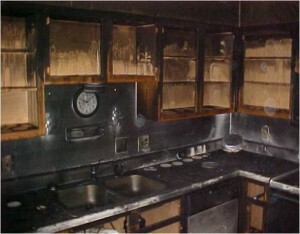 The devastation of going through damages that a fire or flood can cause is extremely stressful. Many homes are caught off-guard by these tragic events of destruction, but we’re here to soften the blow, as we are an expert flood and fire restoration company. We’ll be there for you when life throws you a curve ball, and we’ll do the best work that is humanely possible to bring your home back to life. Mission Restoration is a flood and fire restoration company that is backed by certified training, knowledge, 45 years of experience, and a lasting dedication to earning customer satisfaction. No job is too big for us, as time and experience has fueled us with the confidence in taking on any project and executing restoration successfully. We know of all the drying techniques, such as rapid structural drying or the drying chamber technique, and utilize the very best, most efficient techniques to apply to different situations. We know and exercise the best fire damage restoration techniques to appropriately bring your home back out of the ashes and soot. We work for you, not the insurance company, and we take every project seriously and put ourselves in our clients’ shoes. We know every aspect of how the claims process works, as we have more than a few notches on our belt, and have worked with most insurance companies in the San Diego and Riverside counties. You can count on us to do a thorough home analysis to estimate your needs using a reliable program called Xactimate®, the same software that professional insurance companies use. We are experienced in dealing with the insurance companies, so that you don’t have to worry about any problems, miscommunications or misunderstandings; we speak their language. Mission Restoration has a mindset of being the best Flood and Fire Restoration Experts in San Diego, and we invite you to give us a try so we can complete our talk with our walk. You’ll be confident that you have chosen the top experts in Flood and Fire Restoration in San Diego and Riverside once you get off the phone with us, and that opinion won’t change a bit when we’re through with the restoration project. Saying that we are the best restoration company in San Diego is a statement we can back up by the number of homeowners we serve each year that are satisfied with our restoration work. With over 45 years of construction experience, we know what we are doing and we promise to do the very best work on every project we take on. We have serviced hundreds of San Diego homes, and have a completely clean record with the Contractor’s State License Board, showing that when we do things, we do it right, we do a thorough job and we make sure our clients are completely satisfied. Our claim of being the best is a statement many companies can make, but our claim mirrors our action. If you think it doesn’t let us know, and we’ll keep working until we’ve met your expectations. Our team at Mission Restoration thoroughly understands that your home is your sanctuary, your place of comfort, and your space to grow. We admire that and completely respect your home as if it was our own; we approach every project like we were restoring our own home. We are committed to giving you the best service with the highest quality materials, the best restoration techniques, and the most careful planning possible, as every home is different. Our team of expert technicians is as professional as can be, but is also friendly and approachable. There are many restoration businesses out there that will just be in and out of your home without any personalized care, and that’s something we frown upon. Our restoration service will be the very best for your home because we take the time to care. We guarantee that you’ll be satisfied with the restoration job we perform because we believe in ourselves, and believe that nobody can do it better than us. Our team has complete control over all of our projects from the inspection all the way down to the handshake goodbye. We take a wealth of pride in our work because we have confidence in what we can do. Mission Restoration offers you an extensive warranty on our services because our guarantee is more than just a word. Every technician on our team is dedicated to performing at the highest standards possible, doing quality work every single time. We guarantee the best restoration job possible because performing at the highest level is our standard.